For children 2 years 9 months – 6 years old. At the Preschool/Kindergarten level we have two classes in English, with an enrichment language option of Mandarin or Spanish. 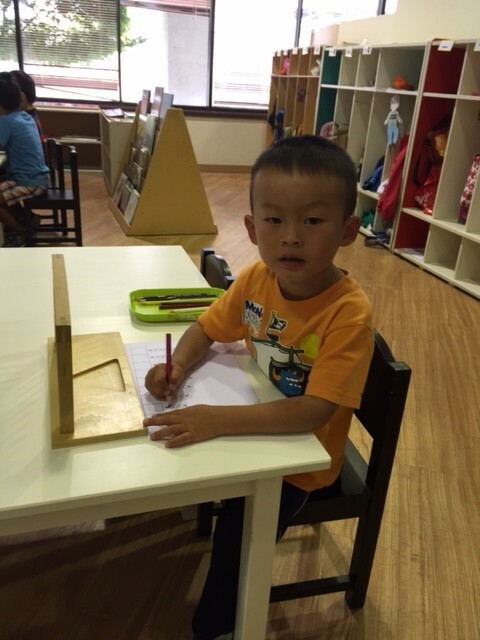 We also have one class which is primarily in Mandarin, though not complete immersion – the English alphabet and basic phonics are also introduced, though not to the same extent as in the English classes. 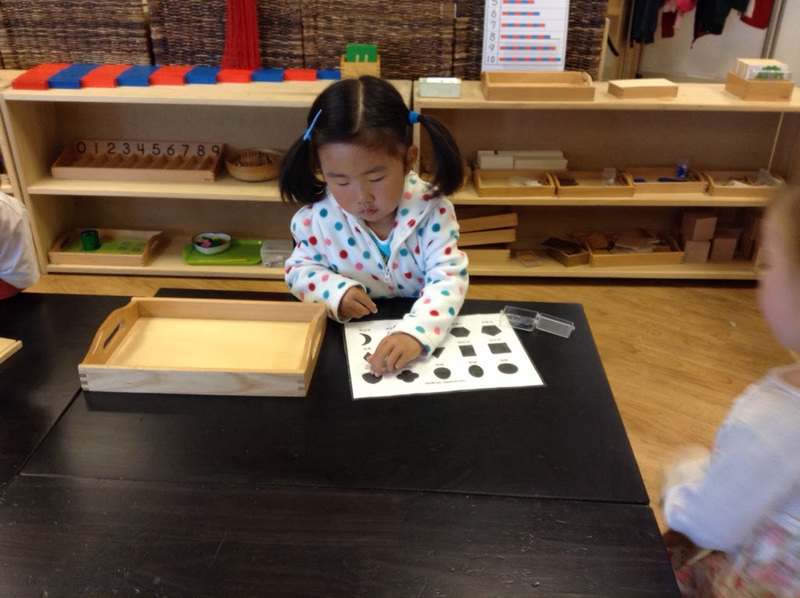 All three classrooms follow the Montessori curriculum as detailed in the ‘Curriculum’ page on the site. 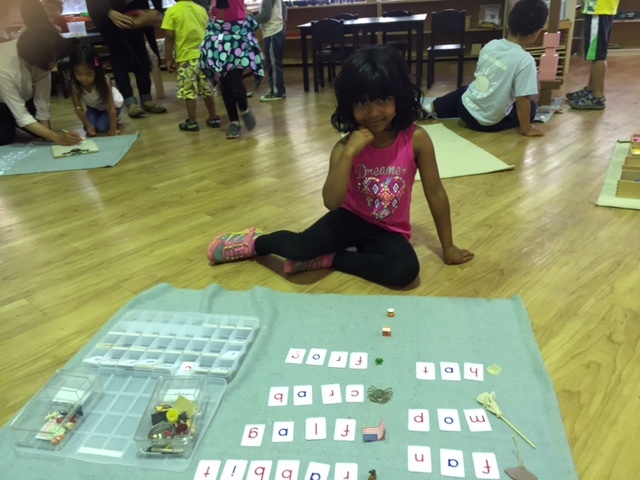 *The language area activities provide work in both English and Mandarin. *The circles (group times) are primarily in Mandarin. 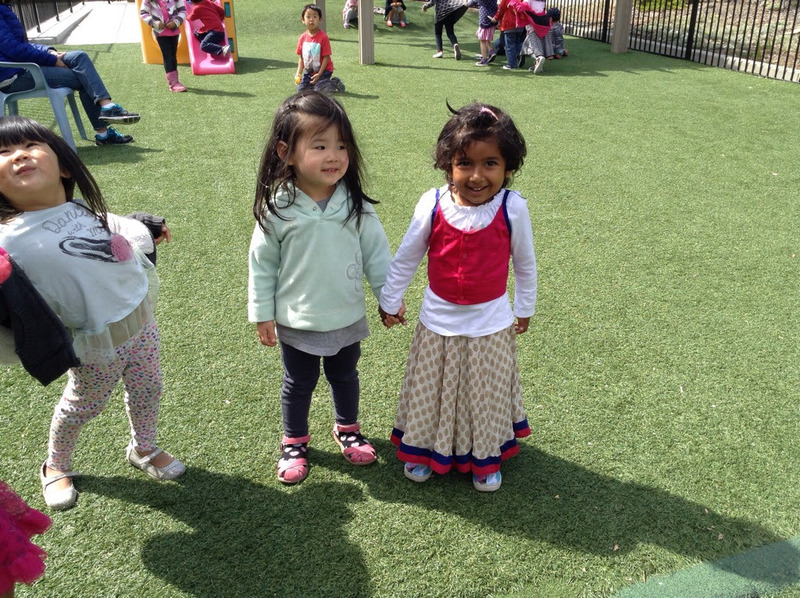 *When speaking to children individually or in small groups, the language will be either English, Mandarin, or a mix of the two, depending on the individual circumstances. For example, some of our children speak Mandarin as their home language. The parents of these children have sent them to us because they want the cultural continuity between home and school, they want their children to benefit from a Montessori environment, and they want their children to also begin learning some English as well as the English alphabet and phonics. Some of our children come to our program without a word of Mandarin. The goal for these children is to learn basic conversational skills and written characters when ready. But their parents also want them to learn in all the other curriculum areas; therefore, use of visuals, gestures and expressions are going to be incorporated into lessons and conversations, and when needed, use of English translation, so no child is lost. And then there are children who speak or perhaps just understand a little Mandarin. Add to this mix the fact that our students are in mixed age groupings of late two through the kindergarten year. 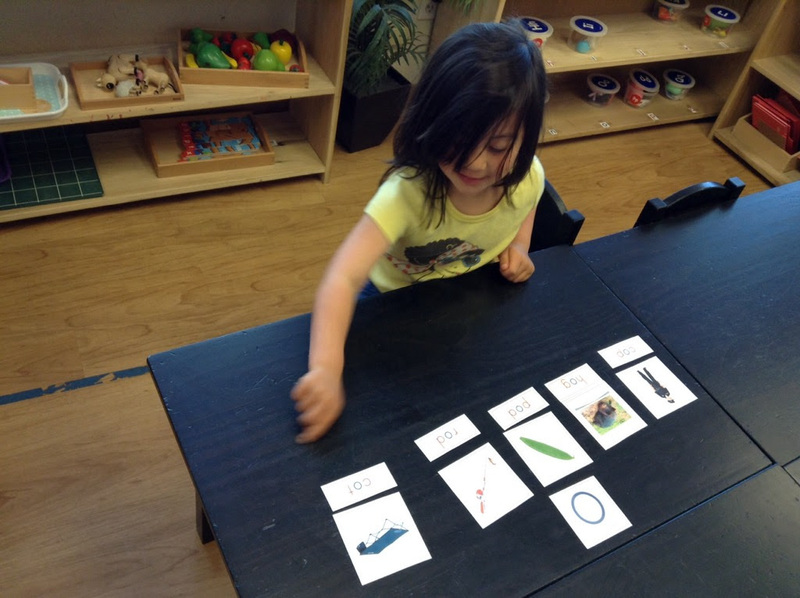 The only way we can meet all these varied needs is through the Montessori model of individually tailored progress through all curriculum areas, including language. We are not an immersion program. Our Mandarin class students play with the English class students after lunch and in the before and after school program, and are with non-mandarin speaking teachers as well as mandarin speaking teachers at these times. 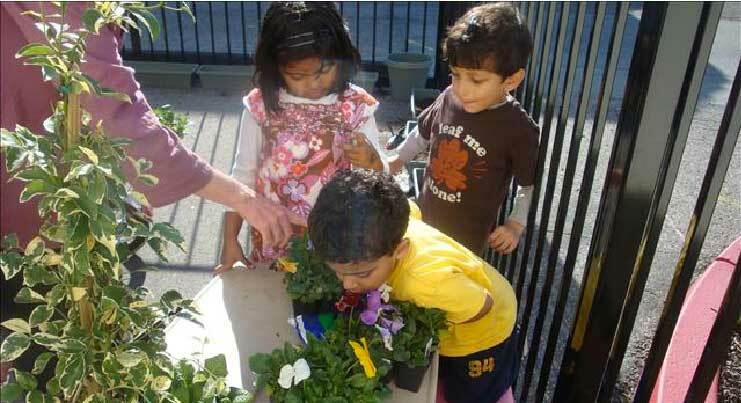 At Odyssey, we cater to parents who want the program described above, with a Montessori enriched environment designed to meet the individual needs of children in all areas of their development, including introduction to English and English phonics. We teach the simplified Mandarin used in Mainland China.